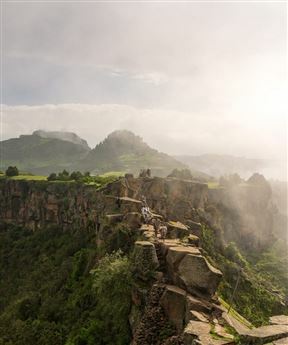 Tukul Village offers unique bed and breakfast accommodation in Lalibela, a town famous for its rock churches. It is ideal for history lovers and for visitors looking to explore this part of Ethiopia while still enjoying a relaxing getaway. Situated along the coast of Bahir Dar, Dib Anbessa offers comfortable and affordable accommodation to guests visiting this part of Ethiopia. 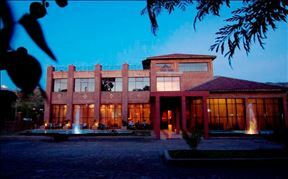 Gondar Landmark Hotel is a four star hotel located in the historical city of Gondar. 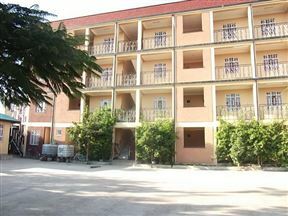 Found on the foothills of Mount Genet, this hotel can be considered as a fresh landmark to the city. 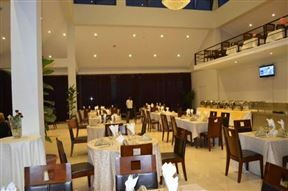 Lal Hotel is located in the town of Lalibela, in Ethiopia. This combination of traditional and contemporary design sits on two hectares of land, surrounded by evergreen trees and magnificent mountain views. 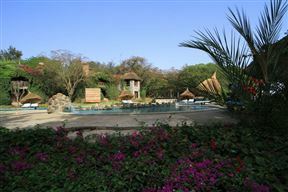 Mayleko Lodge is a luxurious lodge situated just 2 minutes’ drive from king Theodros international airport, and offers modern facilities to travellers visiting Ethiopia. Here guest stay in 20 thatched roof bungalows designed to echo the areas rich history. 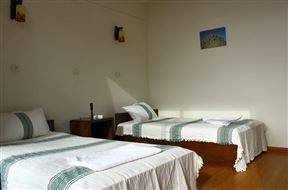 Alef Paradise Hotel is situated in the historic city of Lalibela. 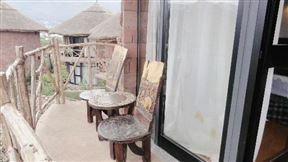 It is located in the heart of Lalibela and is conveniently accessible to Lalibela’s tourist attractions. Panoramic View Hotel is located in the mountains, in the small town of Lalibela. 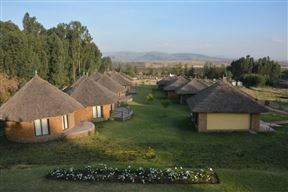 The hotel has 35 spacious and modern rooms all with breath taking views of the Ethiopian Highlands. The Lalibela Hudad is an eco-retreat lodge that overlooks the town of Lalibela in Northern Ethiopia. The lodge is set on a silent and private 10-hectare site at an altitude of 3,300 m. Air doesn’t get much cleaner than this, and there is a lovely feeling of seclusion and peacefulness. 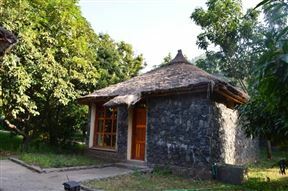 Lal Hotel Woldiya offers comfortable and private accommodation in stone built thatched roof units. The units cater for couples, single business travellers and families visiting the area. Kuriftu Hotel and Spa - Bahir Dar is set on the shores of Lake Tana, Ethiopia’s largest lake, just ten minutes’ drive from Bahir Dar Airport. The attractive hotel is designed to incorporate elements of Ethiopian architecture and décor. The service is excellent and the shady grounds ooze relaxation.